Patients are facing delays in diagnosis because of severe shortages among pathology staff, according to a report seen by the BBC. A survey by the Royal College of Pathologists found only 3% of the NHS histopathology departments that responded had enough staff. Histopathologists are doctors and scientists who diagnose and study diseases such as cancer. Hundreds more pathologists are now working in the NHS, health chiefs said. Sandra Ratcliffe from South Ayrshire was diagnosed with breast cancer last year. She had an operation to remove the tumour, but had two appointments cancelled and had to wait a month for test results to determine how serious her cancer was, whether it had spread and what further treatment she would need. The hospital told her that the delays were due to staffing shortages in its pathology department. She told 5 Live Investigates: “It was probably the most distressing month of my life. Sandra had radiotherapy and chemotherapy and has now been told she is free from cancer. A spokesperson for NHS Ayrshire and Arran told the programme it worked to a number of quality measures, including turnaround times, and apologised for where it had not met those standards. It said it had experienced difficulties recruiting consultant pathologists. The new report by the Royal College of Pathologists says that demand for pathology services has grown significantly in recent years, but staffing has not increased at the same rate. It carried out a workforce survey of histopathology departments throughout the UK in 2017. Of the 158 departments, 103 responded. Only 3% said they had enough staff to meet current clinical demand. And 45% of departments had to outsource work while half of departments were forced to use locums. “The cost of staff shortages across histopathology departments is high for both patients and for our health services. “For patients, it means worrying delays in diagnosis and treatment,” said Prof Jo Martin, president of the Royal College of Pathologists. “We estimate the cost of locums and outsourcing work is £27m each year across the UK health service, money that could be better invested in staff and new diagnostic equipment” she added. The report says histopathologists are facing intense pressure from increasing workloads due to new NHS screening programmes. It also warns of an approaching retirement crisis – with a quarter of all staff aged 55 or over. “If this trend continues unchecked, clinical services could be in jeopardy,” Prof Martin said. The college is calling for more funded training places, better IT systems and further investment in pathology services. Histopathologists are doctors and scientists who diagnose and study disease using their expertise to interpret cell and tissue samples, for example, breast lumps or specimens of bowel removed because of suspected cancer. They look at tissues and cells removed from patients in the clinic or during an operation. Using a range of scientific methods, they assess if a disease is present and what course of action needs to be taken. A Department of Health and Social Care spokesperson said: “There are hundreds more pathologists in the NHS compared to 2010 and hospitals have reduced spending on temporary agency staff by over half a billion pounds in the last year. A Welsh Government spokesperson said it was facing challenges in recruiting pathologists but was developing a plan to address the issue. 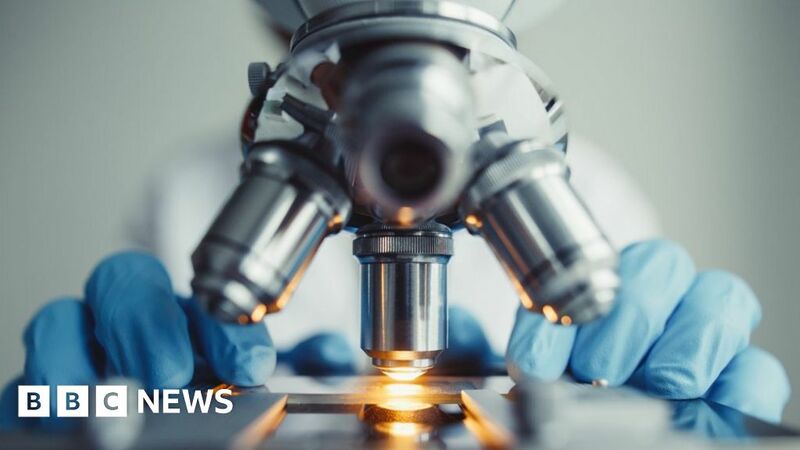 The Scottish government said it had increased training places in pathology specialisms in the last three years and was considering a request for additional pathology trainees for 2019. 5 live Investigates is on BBC Radio 5 Live, 16 September at 11:00 BST – catch up on BBC iPlayer Radio.